Temporary tattoos are making a huge comeback. They remind me of the good old days when we got temporary tattoos for free with different types of candy or was it just me? 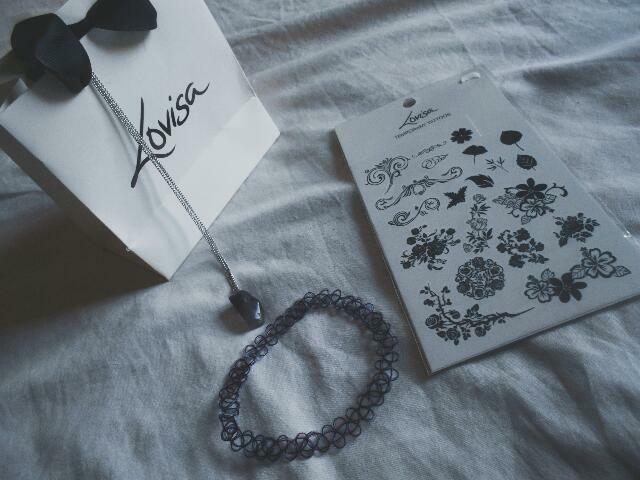 I recently purchased some temporary tattoos from Lovisa, yeah you have to pay for them now but there is not much to complain about because I got them for only R30. I have a thing for sale items. A temporary tattoo makes the perfect accessory for a music festival or a day at the beach. They are fun and stylish, which is what we are always aiming for. They are also versatile and unique. You can play around with them. Apply the on your ankle, wrist, shoulder, wherever you want. No one is going to stop you. There are so many different designs to choose from, you are bound to find one that suits your style. There are geometric shapes, butterflies, flowers, various patterns. As a matter of fact whatever you can think of there is probably a temporary tattoo of it. The temporary tattoos last for approximately 5 days when they are well taken care. The packaging states that you must remove it with some alcohol but you can wait for it to fade away or a little soap and some scrubbing can also do the trick. One problem is that it is not easy finding a spot to apply it when it is winter and you are wearing a turtleneck, a scarf, a coat, stalkings and thigh high boots. I wouldn't recommend them for winter. Since I have purchased my temporary tattoos and I don't want to put them away until summer I decided to do a little DIY. I applied a temporary tattoo on a flower pot. I absolutely love how it turned out and I think I will tattooing a whole lot of other things and I will definitely purchase them again in Summer.